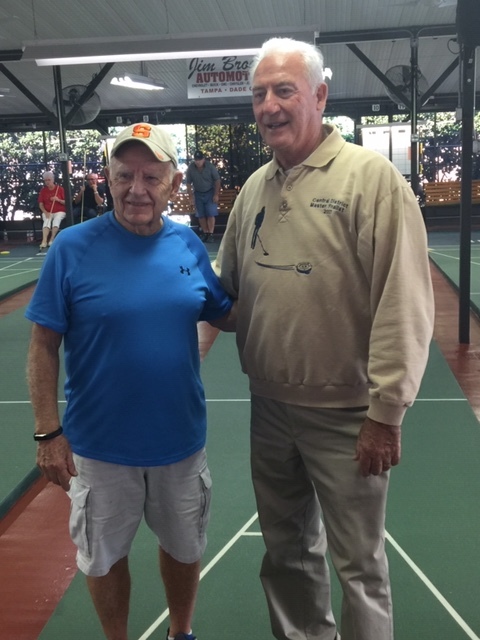 Chuck Moulton and Henry Strong, both of the Zephyrhills Club drew each other in the District Tournament hosted by the Zephyrhills Club on 12-7-2018. They lost only one game during the tournament and that was in the final match as they out classed the field to take the Championship. Sent Along by Earl Ball WITH THANKS!!! !